This was our vegetable of choice when we grilled tilapia and squid. It was the perfect pairing! I hadn’t realized that my girls don’t remember ever having this vegetable since I don’t buy it often. It’s also not always available in the market and when it is, it is always on the expensive side. The two-pound bundle that I bought cost a little over $5. 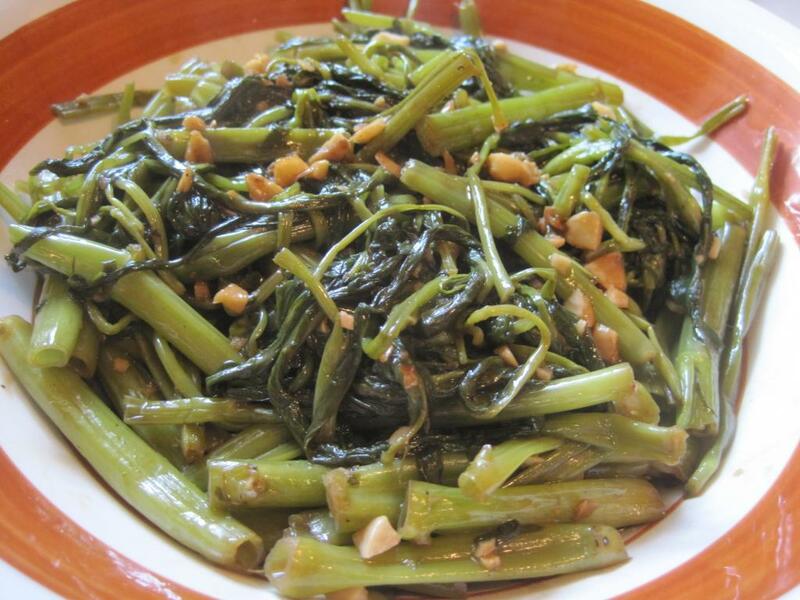 This is called water spinach, labeled as on choy at the Asian market, and in the Philippines, it is called kangkong. 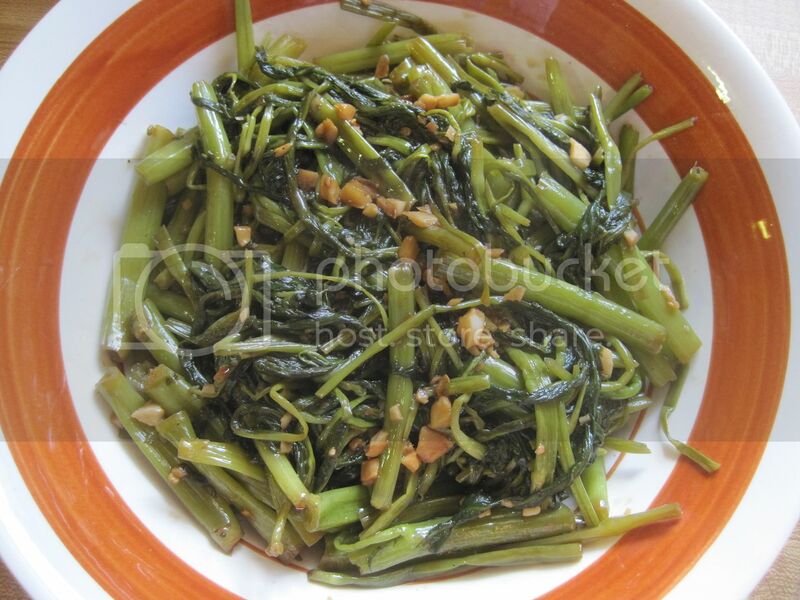 I would normally prepare this like I would the sweet potato (kamote) leaves salad but I thought stirfried in adobo seasoning would be better suited since I also wanted to use most of the stems from the kangkong. If I’m going to pay that much for it, I better use most of it and not just the green leaves! Get your ingredients ready: garlic, ginger and peppers; soy sauce and vinegar in the other bowl, and the trimmed and washed vegetable in the colander. This vegetable adobo is made slightly spicy with the addition of red pepper flakes. Heat the oil in a wok or suitable cooking pot. Add the garlic, ginger, and red pepper flakes and stirfry for about a minute until it is fragrant. 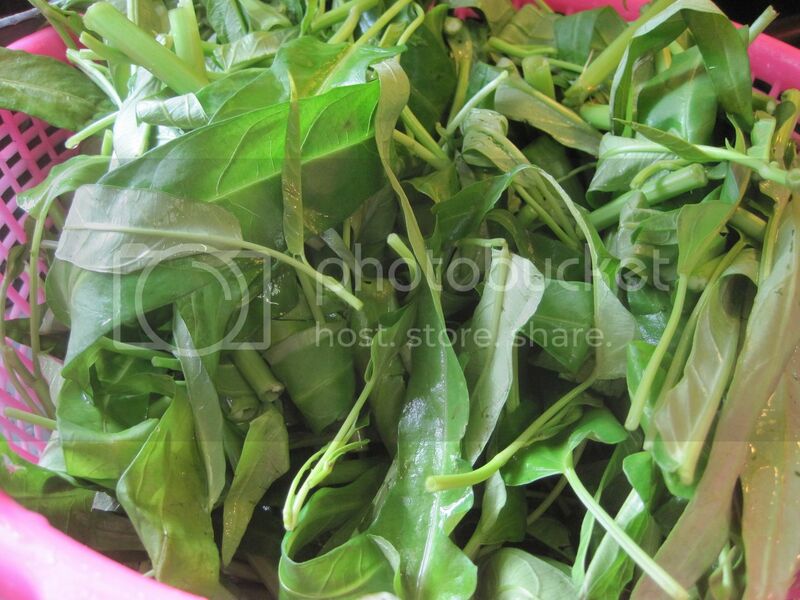 Add the water spinach and stir for a minute or two until it starts wilting. Add the soy sauce and red wine vinegar, stir briefly, and cover the pan. 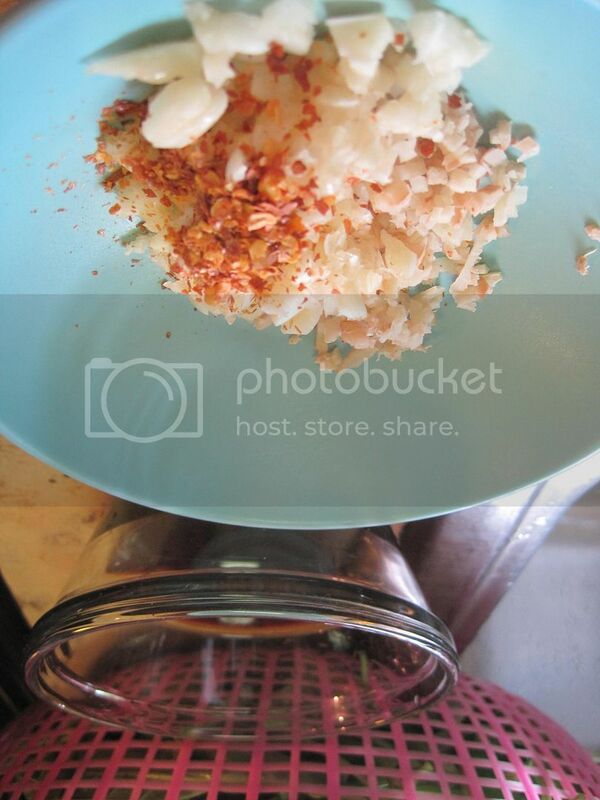 Let it steam in the soy-vinegar sauce until almost all the liquid has evaporated. Don't let it dry out though. This will take about 3-5 minutes.